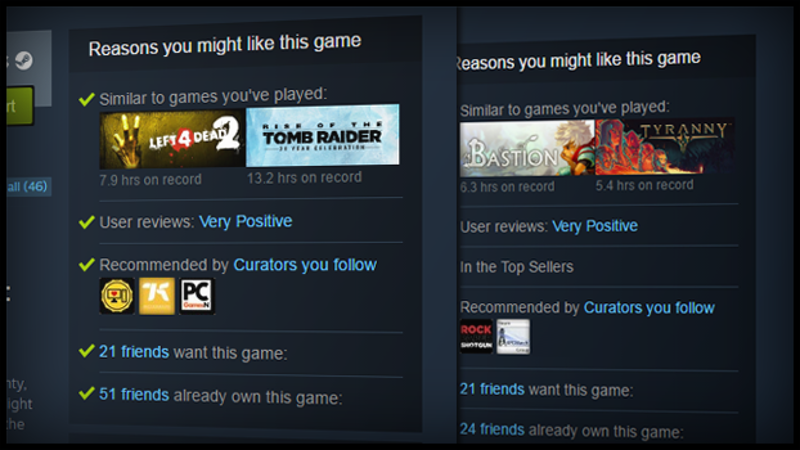 Steam just added a widget that helps shed light on why the store is showing you particular games. Steam just added a widget that helps shed light on why the store is showing you particular games. It’s not crazy in-depth or anything, but it does demystify the processes underlying Steam’s increasingly important algorithm a little bit. Check out Valve’s full post for the reasoning behind this addition.